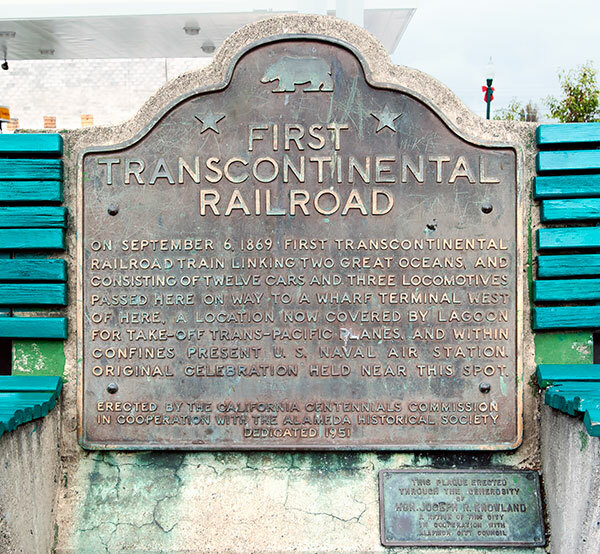 On September 6, 1869, first transcontinental railroad train linking two great oceans and consisting of twelve cars and three locomotives passed here on way to a wharf terminal west of here, a location now covered by lagoon for take-off trans-pacific planes, and within confines present U.S. Naval Air Station. Original celebration held near this spot. 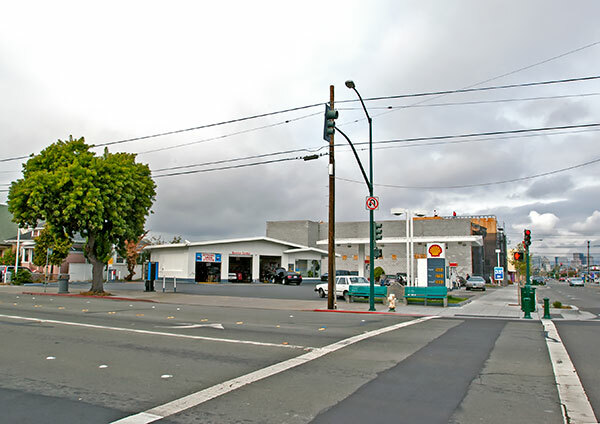 Where the trains once passed, a service station stands. Not even a rusted track remains. It's not a pretty picture, this corner. Everything mentioned on the plaque is gone. The wharf terminal? Gone. The lagoon? Gone. The Alameda Naval Air Station and transpacific sea planes like the China Clipper? Gone and gone.